Need help with planning your child’s next party? 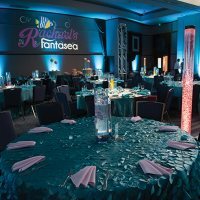 FunMaryland.com is proud to feature the top kids party planners in MD. Whether you want help tying up the last-minute details or are looking for someone to plan the event from start to finish, these party planners specialize in making children’s events special. For more party planning services in Maryland, check out KidsParties.Party. Plan a fun and fabulous birthday at Tickled Pink and Posh Party Boutique. 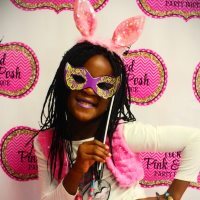 “It’s where the girly girl hangs out.” Designed with your daughter in mind, they offer glamorous birthday parties, play dates, makeovers, fashion and modeling courses, etiquette classes, day camps, movie nights and more. These party planners in Owings Mills, MD will treat your guests to an elegant and dainty event. Choose from their extensive birthday menu. Their packages include hours of fun. Get a spa treatment, be a princess for a day, create a craft, bake a sweet treat, receive a makeover or take part in a fashion show and photo shoot. Girls will go crazy over these parties. Visit the website for more details. Creative, unique and unexpected are the words used to describe Innovative Party Planners by many satisfied clients. They offer an uncommon blend of service, product selection and event planning expertise. These kids party planners craft amazing events in Maryland, such as sweet 16s, graduations, communions, quinceaneras, mitzvahs and other special occasions in the area. They also specialize in weddings and corporate affairs. For children’s parties, they will work with your family to create the perfect, memorable event. They will cater to your needs, thoughts, vision and budget. Their team is staffed with industry professionals with years of experience. Visit the website for more information.